Be the first to enjoy all of the 291m2 of space, quality and lifestyle benefits of this brand new family residence. 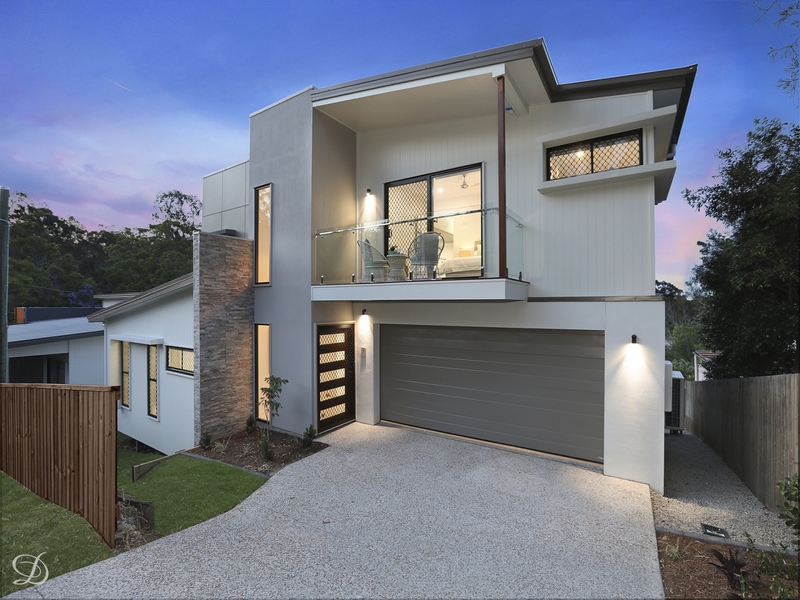 The cleverly designed two storey home is ideally suited to those seeking a sophisticated living space in mint condition with generous interiors, leafy urban views and low maintenance indoor and outdoor appeal. This is a home for those who love to entertain and features light and airy living zones with polished tiled flooring and crisp neutral decor. A wide alfresco deck flows easily from the living area and enjoys a sweeping district outlook plus there is a private rear garden and level lawn. A quality kitchen has breakfast bar seating and sleek gas appliances,security alarm system and touch pad My Place control system. There is a guest bedroom with walk in robe and en suite on the entrance level. Three upstairs bedrooms are each very well proportioned and have built in wardrobes, including the master that has an en suite, walk in robe and balcony. There is also a second living area and study nook on the upper level. The location, the size and the quality of this newly completed property represent a low maintenance lifestyle of fantastic appeal as it is positioned within close proximity to the train station and Blackwood Street's cafes, as well as a selection of local schools, parks and nature reserve.